Finally, a small profile high current 12 Volt DC power supply! The all new, Jetstream JTPS50A provides both the high current (50A Max) with a small size and weight. The JTPS50A provides all the power you need for most applications and allows you to hook up to the front and rear panels. Anderson Power Pole connectors are provided on the front panel and high power binding posts on the rear. 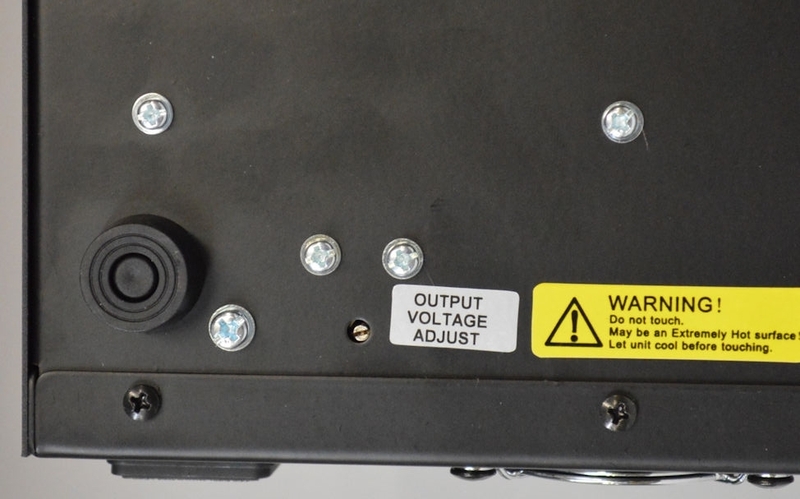 Voltage is fully adjustable from 9 - 16 volts! 1 Year Warranty on all Jetstream Products! All warranty repair and replacement work is handled directly with Jetstream. Small 8" x 9" x 3"